One of the great challenges we face in the senior living business is how to fully embrace the complexity of building a true community vs. an apartment house with dining and entertainment services. Lack of Connection I have met many a senior who made the big decision to divest their home of 40-50 years to buy a condo. Their plan being to reduce much of the weight of home ownership so they can enjoy more of life. With dreams of a stress free and safe lifestyle in their condo, they find that their new living situation is devoid of any sense of community. Although people live in close approximation, interaction is cordial and superficial. Seniors that enjoyed highly developed neighborhood networks move to a state of complete alienation. Social scientists tell us that our social networks provide not only a sense of identity, but also a way to cope with change and to feel safe. As humans, we need an intimate world we can understand, one where we can be somebody and feel that we belong. In the 1960’s Marshall McLuhan spoke of a world so connected through technology that we would have a global village – a village without barriers. Today, forty years later, we are far from that village as we know it an intimate community united by a common language and culture. In this world of alienation,we have to continue to redefine community. The Third Place We have commonly had in our communities our “Third Place” a place we can gather outside of home and work. In 1989, Ray Oldenburg in “The Great Good Place,” defined Third Places as informal gathering places where we unwind after a long day’s work, find companionship and discuss ideas. Unfortunately, these places seem to no longer exist. World War II marks the decline of these Third Places commonly seen as cafes, taverns, beauty shops and corner stores. Today, many believe that “Third Places” are reincarnating. In fact, the success of Starbucks and many bookstores is believed to be due to the fact that they serve the need for a Third Place. 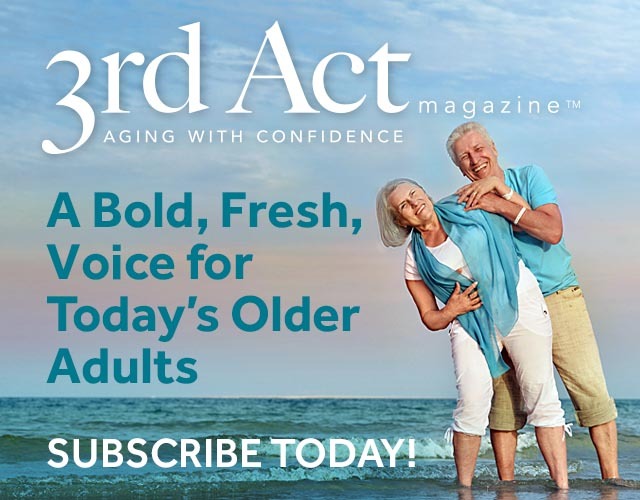 Many seniors suffer the loss of their personal Third Places and they struggle to find new ones when limited by diminished eyesight, hearing and mobility. Although we have some WiFi (wireless high speed digital connection) communities and computer stations for seniors, most seniors are just starting to embrace cyberspace. Sacred Spaces Seniors do not want to live in a box. Frankly, none of us do. External environments play as important of a role as the architecture and interior design of a building. The challenge is how do we get beyond landscaping. A few burms, rhodies, roses and pavers do not necessarily provide the experience of a garden. True gardens can be transformational. A sacred place of inspiration, safety and even joy helps to lead us to our “inner garden” of peace. Sacred or holy places are found all over the world.Many of these are linked to natural objects i.e. trees, stones and water, as well as objects of art and architecture. “Sanctuary” is such a great word, as the definition relates to a physical building as well as a safe haven a place to go for renewal and peace. A Place Called Home You know the old saying “home is where the heart is.”Home is a safe place to be yourself, enjoy simple pleasures and a place you can express yourself. One thing that makes me feel great is when people come to my home. They often express how warm and embracing it is. For example,we don’t lock doors inside our home.We have taught our children that if a door is closed and another wants to enter, they must knock and wait for an invitation. When there is conflict, it is not acceptable for it to take over the household. It is important to talk the conflict through to resolution. So love, respect and honesty are the rules of the house. 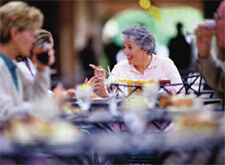 High functioning retirement communities have to work at many levels to deliver on a promise to provide a new home. Interior design, gardens, gathering places, boundaries, rules and respectfulness are all required to make a community robust. Then, when enough staff, residents and families develop an attitude of caring and well-being for the whole, the prospect of “true community” is present.